Come along and join in the celebration with the Players, their family and supporters. Tickets are £5 per person. Leave a comment if you would like to buy some. It has been a roller coaster year for the Club’s two teams. 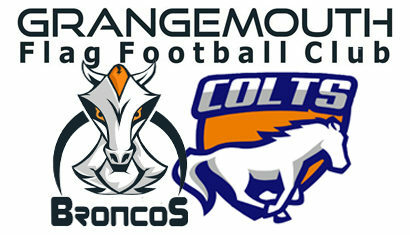 The Colts, in their first year, worked hard to get up to speed before their debut in the BAFA Div1 HNC League. 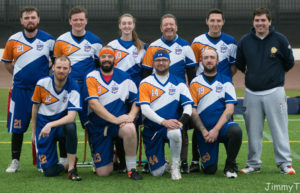 At the “Flagging Iron Man” tournament in February, they lost all but one of their games, but the game they won was against a Premier team. And, they had mixed fortunes at some of the friendlies they played. So when they lost their first match in the league it looked like it might be a “learning” season. Then, while they lost both games to the unbeaten Carnegie Flag team, they only lost one other game for the season and ended up second in the league and made it to the Div 1 National Finals. Unfortunately, it looked like no-one had expected us to do so well. There were only six players available to play at the Finals. Unsurprisingly, given the calibre of the teams at a National Final, the effort the players put in didn’t get any reward. Then, at the Promotion Play-offs in September, while they played better, they just couldn’t match the opposition. Second in their League and 8th in the UK at Div 1 level is still a fantastic achievement. The Broncos started the year with a sixth place finish at Flagging New Year. That tournament boasted some of the best teams from all over Europe, so sixth place was a good achievement. 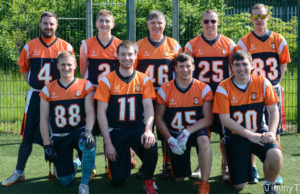 Then came the BAFA Pre-Season Challenge Cup in Sheffield. The Broncos breezed past the opposition on day one and had a comfortable win in the semi-final. Then in the Final, they ran out of steam against the Reading Lions who they had score 50 points against the day before. While disappointed to be tournament runners-up, it was still a good result. In the BAFA Premier League, as usual, the Hornets and Oilcats were the teams to beat, and in the first fixtures they came close, but not close enough. They were beating everyone else, from both the HNC and the MEC. When they traveled to Big Bowl in Germany, the tournament was hotting up nicely. They were in position to make the top bracket when two of their starters were injured in one game, and both out for the season. 26th place in their debut at Big Bowl was still a good result in the circumstances. In the league, with two important players missing, things could have been worse, but while they maintained third place in the HNC league, they couldn’t break into the top 2 places and finished third. Third place did mean they were entered into the National Plate competition. However, traveling with only five players seemed like a tall order. Finally, the pieces fell into place for the Broncos and they won their three games and the trophy. Effectively 9th place in the UK at the elite level. So, definitely some lows this year, but some good highs to finish the year.